Fuse is designed for men who are bold and full of confidence and who yearn for wild natural environment. The character of the fragrance is fresh woody - aquatic. Sparkling aromas of ginger, cypress, and citruses (grapefruit, lime and mandarin) open the composition. The heart is made of elegant notes of laurel, cedar and cashmere on the sensual base of vetiver, tonka, sandalwood and musk. 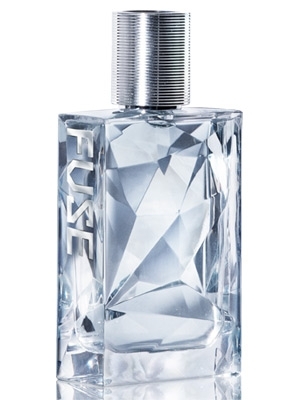 The fragrance contains particles of crystal rock (quartz), which possesses stimulating and revitalizing powers. The nose behind this fragrance is Dora Baghriche-Arnaud. Fuse was launched in 2012.